What is it all about: A contest for new writers. The message: The PRADA JOURNAL literary contest was launched in 2013 with the aim of creating an independent literary research platform open to new writers from all over the world who are able to capture the subtleties and myriad aspects of reality and translate them into the written word. On board: Carlo Feltrinelli, A.M. Homes, Craig Mod and Oscar- winning film director Gabriele Salvatores have been chosen as the Prada Feltrinelli Prize jury members, responsible for selecting the winners of the third edition, whose names will be unveiled in September 2016. 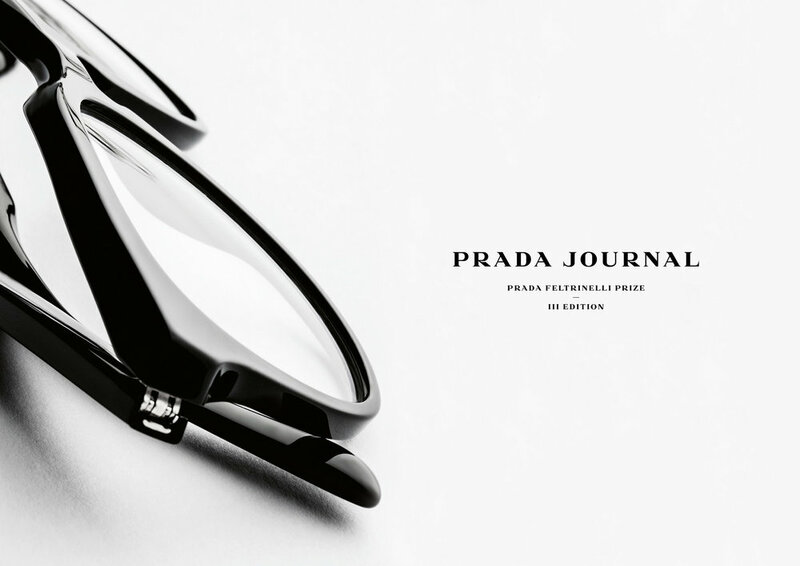 Besides, once again the visual framework of the PRADA JOURNAL collection, developed in collaboration with LUXOTTICA, continues to be a key tool in exploring the world through different lenses - a new way of seeing the things and people around us. First Impression: The new edition of the Prada Feltrinelli Prize welcomed the participation of over two thousand writers worldwide, who were invited to express their creativity through this year’s theme: ‘Illuminations, shadows and mirages. Things are not always what they seem.’ The storytelling of the third edition evolves into a three-dimensional literary experience through a digital performance featuring the winning stories in a modern ‘Theatre of Conversation and Exchange.’ The theatrical performance crosses the boundaries of time and space, extending into several interconnected environments in which diverse elements interact and veer towards virtuality in an unusual way!